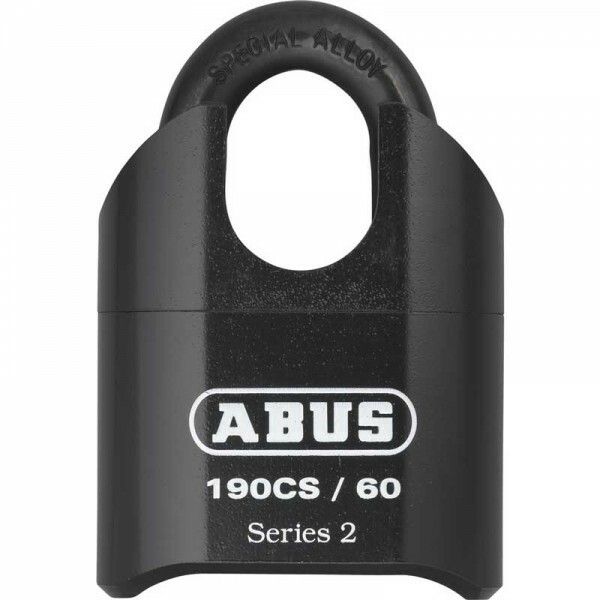 ABUS 190 Series heavy-duty combination padlock with a 4 digit resettable combination. The all new combination mechanism improved reliability and the positive code wheel action reduces code wheel setting errors. It has a solid hardened steel jacket to resist physical attack, a through hardened steel shackle which resists hacksaw attacks, a black chrome shackle for better corrosion resistance and ball bearing locking which gives protection against pulling and twisting attacks. Precision locking mechanism with special manipulation protection. Shackle guard protects shackle from attacks.